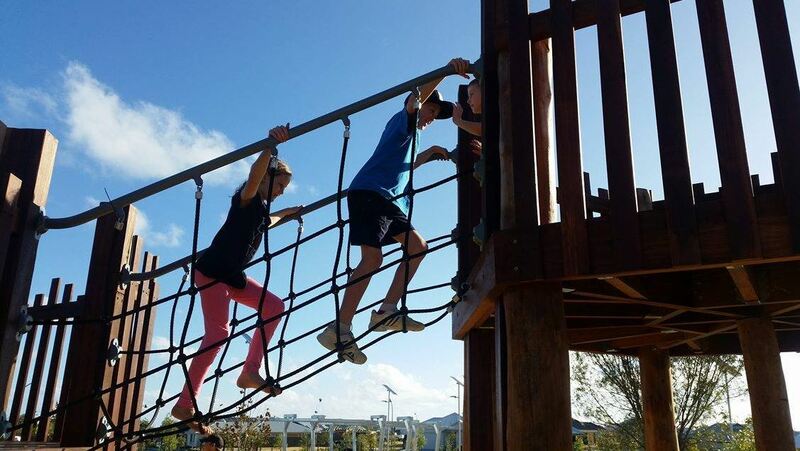 Kinkuna Adventure Playground Allara Estate Eglinton (just south of Yanchep) joins the growing list of amazing new estate super parks and adventure playgrounds, opening in May 2016. 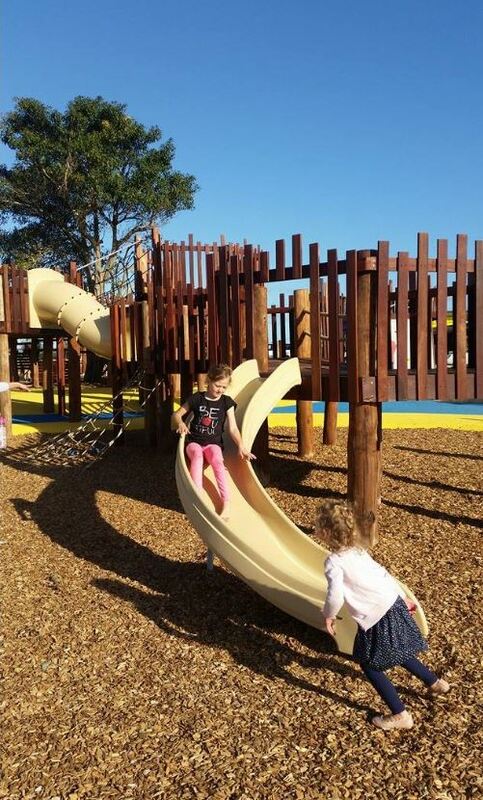 The main play structure is a wooden fortress with ramps and rope bridges. 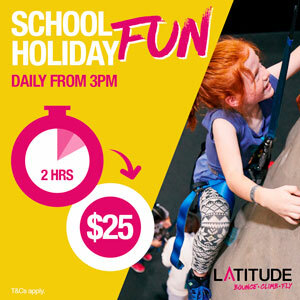 Kids can make there way up and down via slides, fireman pole and rope climb. 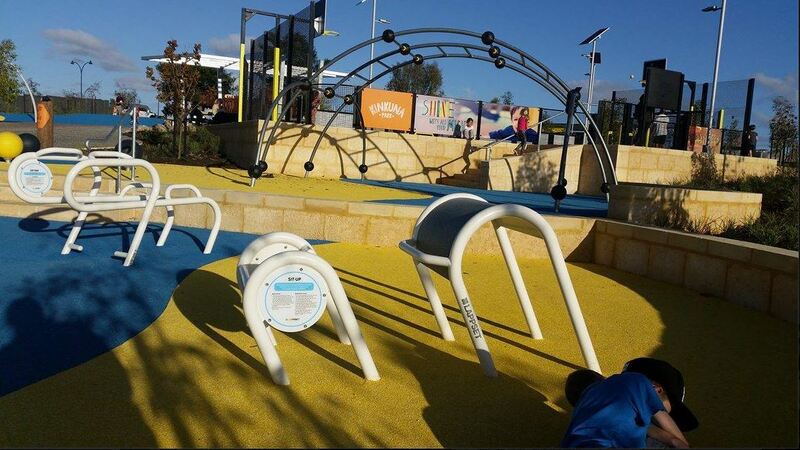 Fitness and exercise equipment is a big feature at Kinkuna Adventure Playground Allara Estate also. 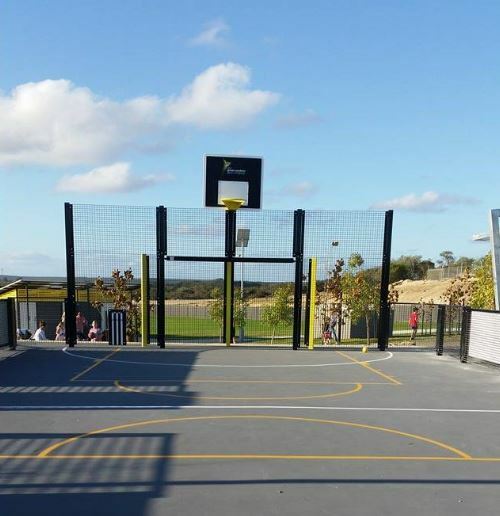 Kids who love to play basketball or cricket will love the fenced play area complete with a score board! 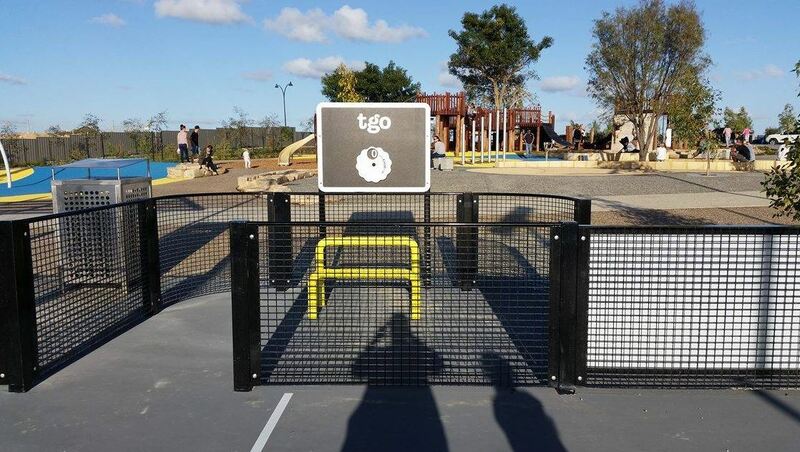 This park truly is somewhere where kids and parents can play together with exercise stations located within the playground area. 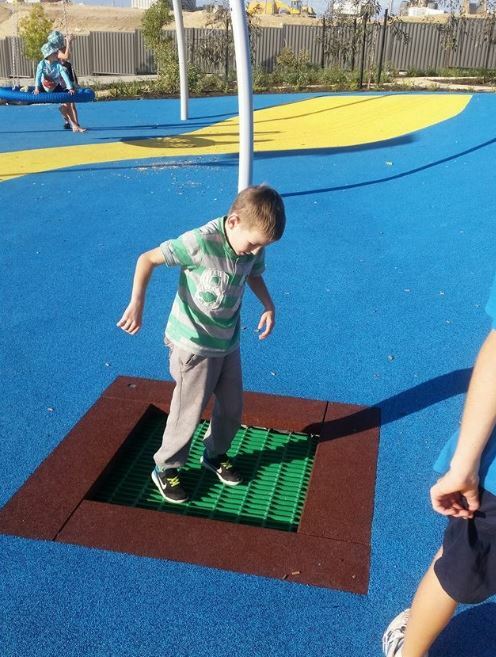 You can also find inbuilt trampolines at Kinkuna Adventure Playground another feature becoming standard in new playgrounds and of course popular with the kids. 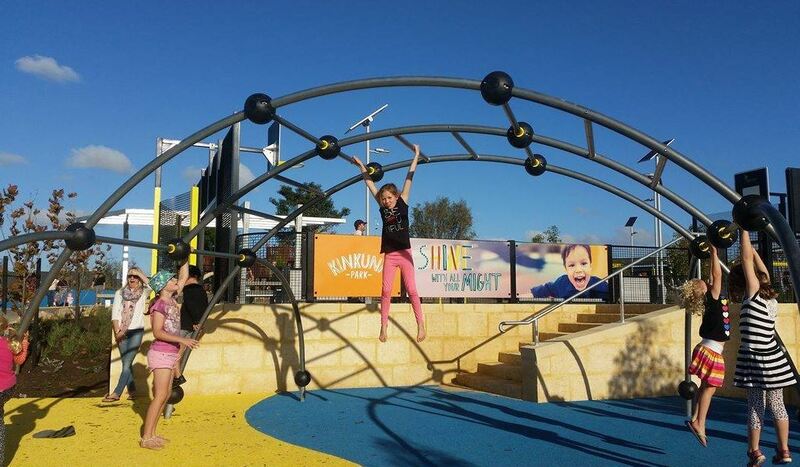 You can find a large birds nest swing here too. 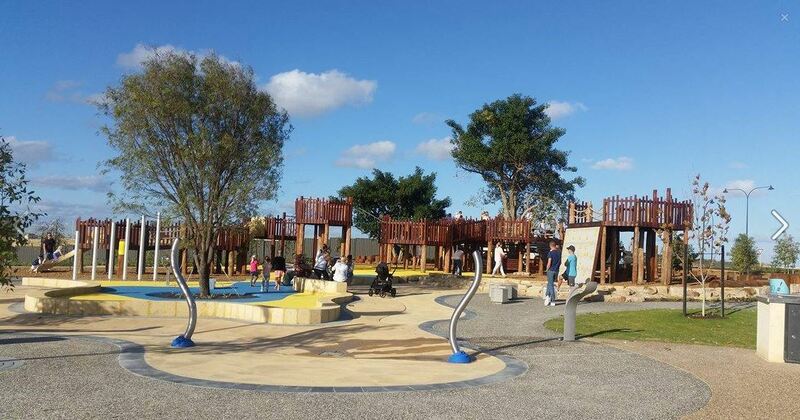 Kinkuna Adventure Playground Allara Estate has all the features you would expect from a big park like this. 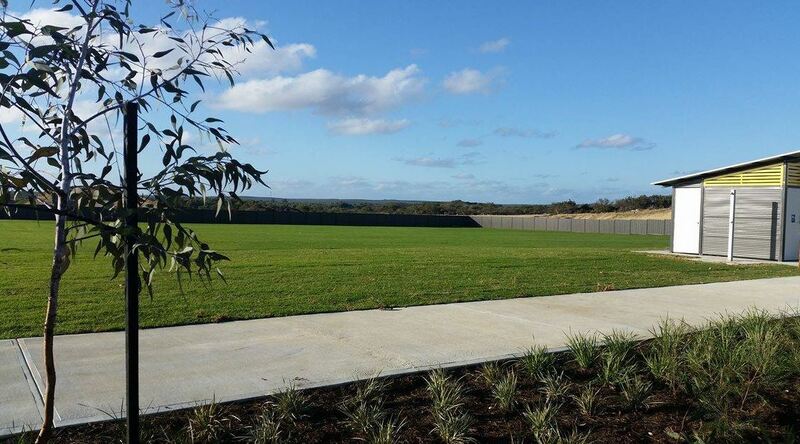 There are automatic toilets, BBQs, picnic shelters, a drink fountain and a large grassed area for picnicing and kicking a ball around. 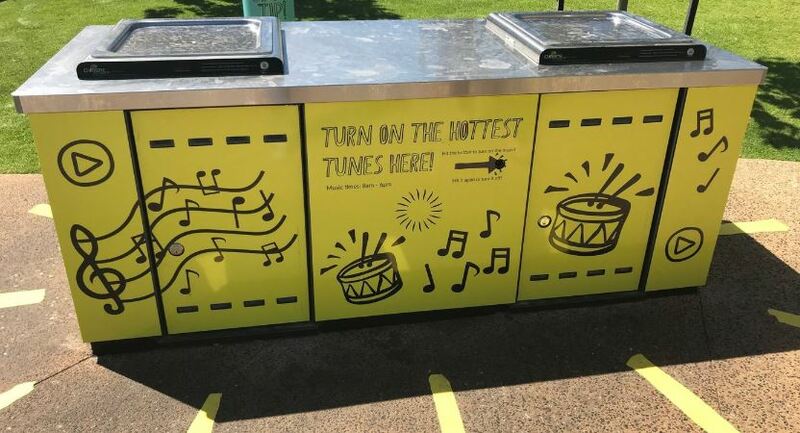 The BBQs now have a free music streaming service too! 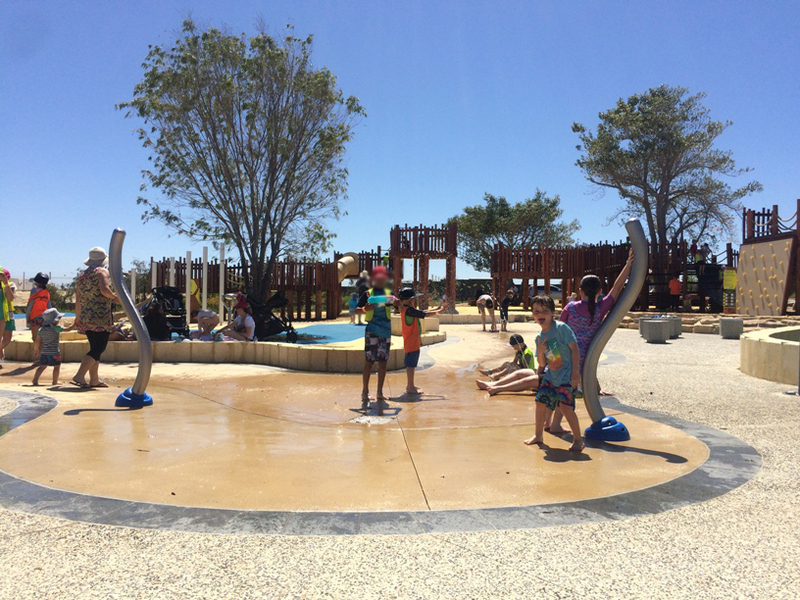 During the warmer months you can also enjoy some water play here with a small water play area with several sprays to keep you cool (Water on November 10th 2018). 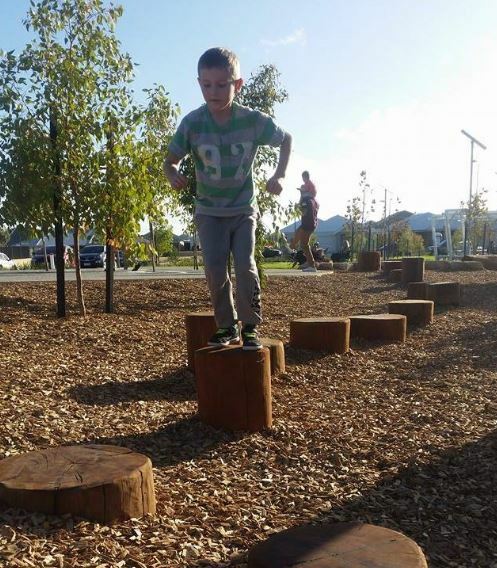 Kinkuna Adventure Playground Allara Estate Eglinton is the perfect destination if you are looking for a drive out of town and a big day out of adventure. 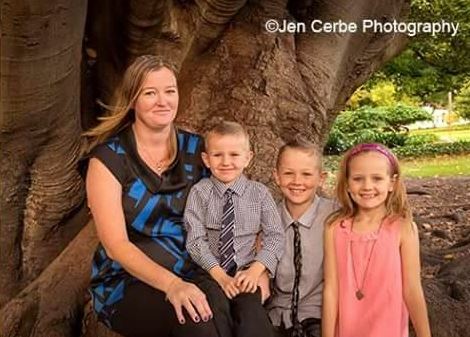 Amber is a single Mum of 3 kids (2 boys and a girl), and a foster Mum to one (and sometimes more). 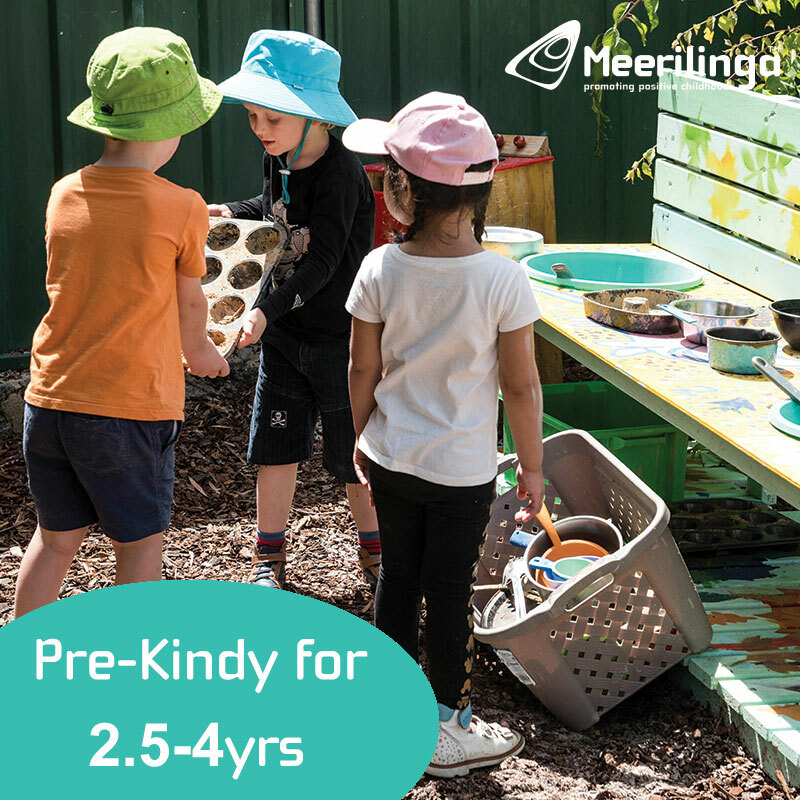 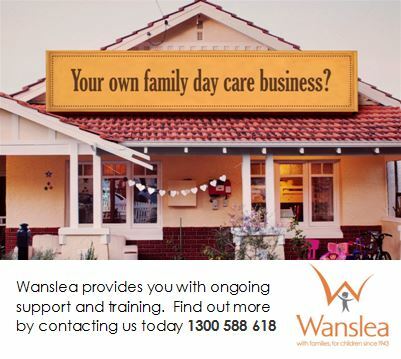 She has lived in Perth all of her life and loves exploring all the new things to do with the kids in Perth, especially the free and cheap things to do of which Perth has so much to offer.